Beer, booze, and rambunctious fun! A whole book full of booze? Sounds intoxicating doesn't it? The challenge was to be as fun as possible without losing sight of the story. So come along on a journey with Paddy where he explores the world in search of a new party! I promise you will not get Bordeaux of this story! Here are some final images and spreads. Click on them to enlarge. Scroll down for some sketches. 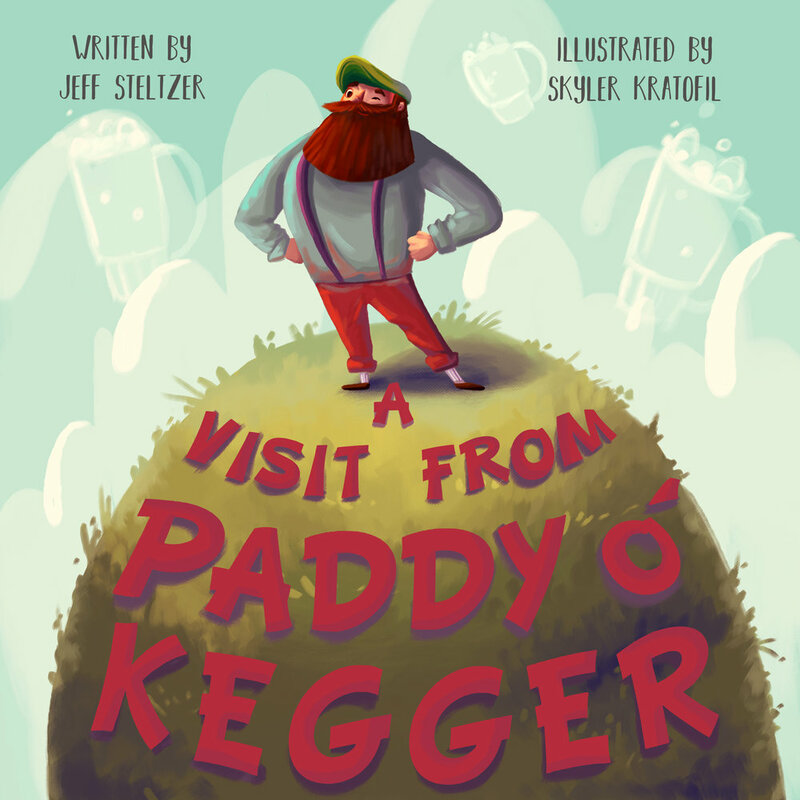 I wanted the cover to be fun yet dreamy because the book encompasses the exciting yet whimsical visit from Paddy. Paddy is front and center, of course, in a proud and triumphant stance with soft, fluffy beer steins behind him! 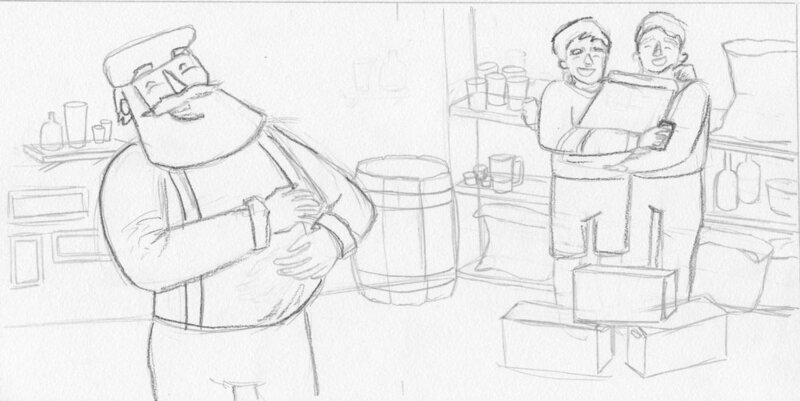 Character exploration of the lead dog Stout showing his proud stance and healthy posture. 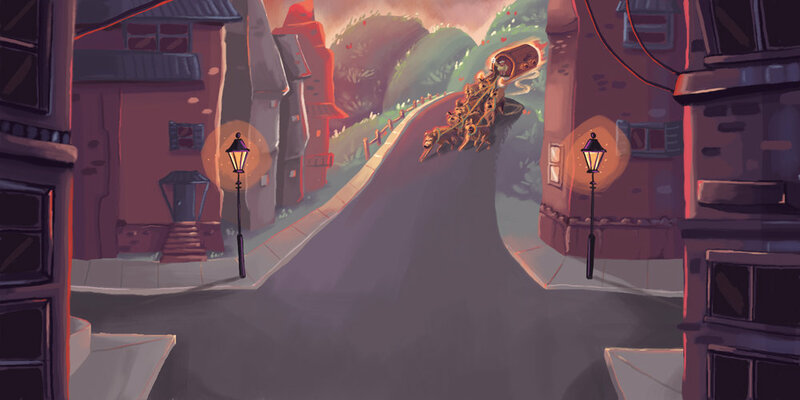 This spread was the most fun to conceptualize and paint because I knew that I wanted a leading shot showcasing Paddy’s world with him riding in in the distance. Add in some warm colors for the that magical hour sunset time, move around some details, and you got Paddy’s introduction! See final spread above.